This is a list of frequently asked questions which may prove informative to visitors. Q: What is the Encina Update? A: The Encina Update is a weekly newsletter which is emailed to members of the encinaupdate group hosted by groups.yahoo.com. The Encina Update covers all things Encina: reunions, newly located alumni, alumni accomplishments, etc. See the Updates or Groups pages for information on subscribing. Q: What are the Encina groups? A: The Encina groups are hosted by the groups.io. First, they are mailing lists. But they are more. Groups are a way to foster communication. They allow easy distribution of messages via the mailing list, they allow taking polls, scheduling events via the calendar, chat between two or more group members, etc. Besides the Encina Update group, there are groups for each class year, along with a parent, staff and humor group. See the Groups page for details. Q: How can I help support the Encina website? A: By becoming a sponsor and contributing money towards the costs of running the Encina website and putting on the annual homecoming party. By linking to stores such as amazon.comfrom the Encina Store. By linking to these stores from the Encina website, the Encina website will receive a commission on any purchases you make. See the Store page for details. 2. Tell your siblings and classmates about the Encina website. 3. Send the webmaster the names of any classmates you are still in touch with so they can add them to the alumni database. 4. Send the webmaster the names and class years of your siblings or relatives so they can be added to the alumni database. 5. Volunteer to be class webmaster or reunion contact if you class does not already have one. Q: Will data submitted be kept confidential? A: Any data submitted by form or email will be kept strictly confidential and will not be used for any commercial purpose. No information will be published on the website without explicit permission of the owner. The contact information forms ask whether it is okay to publish name, address, phone, email and homepage in the class directory. You may chose to publish all or none of our contact information. Bio information submitted on the bio form is assumed to be for publication on the class homepage (it says so on the form). Contact information will only be given to class reunion committees. Q: How do I change my listing in the class directory? A: The class directories are manually maintained. Some have the impression that they are automatically updated by submitting the contact information or bio forms but this is only wishful thinking. Contact the webmaster about updates or typos to the class directories. You can update your contact or bio information by resubmitting the contact or bio form. Q: What does "care of webmaster" and "contact webmaster" mean in the class directory? A: In the class directories, many listings say "contact webmaster" or "care of webmaster". "care of webmaster" indicates I have an email address but do not have permission to publish it in the class directory. I will manually forward email if you send it to me. "contact webmaster" indicates that I either have contact information (but no email) or know somebody who knows how to contact this alumni. This third party is usually another alumni, although I even have some parents in the database. I would like to avoid having "care of webmaster" type listings as this means I have to manually forward email. This was only meant to be a temporary measure which indicates the alumni has an email address, not a way to avoid listing your email address. Q: Why do you want information about my siblings and classmates? A: Some of you may wonder why I'm always asking for the names of your siblings and classmates. I add them to the Encina alumni database and make a note that interested parties should be referred to the third party for whom I have contact information. I also add their name to the class directories so that if someone is looking for them, I can refer them to a third party who knows how to reach them. Q: Will you forward a message to the Encina mailing list or a class mailing list? A: The webmaster will be glad to forward relevant messages which pertain to Encina, such as information about reunions or other Encina activities. Q: Are old yearbooks available? A: Some old yearbooks are still available. See the Yearbooks page. Q: How can I find a person? A: The class directories are the best place to look for contact information about a particular alumni, assuming you know there class year. If you do not find the person you are looking for or do not know there class year, try the Google search at the bottom of each page and click the button to search just encinahighschool.com. Information about teachers can be found on the Teachers page. Still stumped, contact the Encina webmaster who will check the Encina alumni database (see link at bottom of page). If there is nothing in the Encina alumni database, the webmaster will put the name on a list and periodically include it in an Encina emailing to see if another alumni knows how to contact them. Q: How can I find out what's changed since my last visit? A: The What's New page lists changes to the Encina website. This includes new listings in the class directory, additions to the website, etc. Q: How can I help publicize the website? 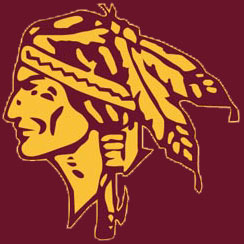 Did you know that there is an Encina HS website? Please check out www.encinahighschool.com. 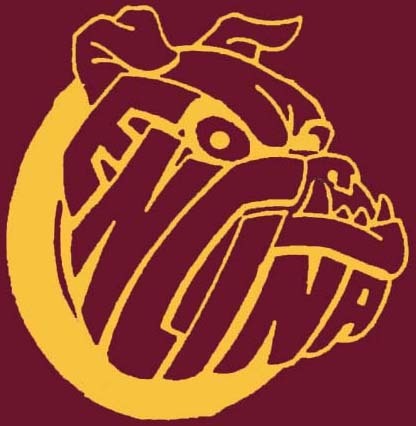 The Encina website contains homepages for each class year, a directory with contact information for Encina alumni, and information about reunions. Q: Is the Encina High School website profitable? A: The Encina website is a non-profit website, with webmasters who are Encina alumni. Q: Why are you doing this Harlan? A: Sometimes I wonder about this myself, to tell you the truth. See the About page for how this all got started. Q: Where can I find information about my class reunion? A: Visit your class homepage. Q: What does a reunion contact do? A: Ideally the reunion contact is someone on the class reunion committee. The reunion contact is the one classmates will contact to find out about class reunions and the keeper of the class database, which will be used to contact classmates when reunions roll around. Unfortunately, for many classes, either there is no reunion committee or we don't know anyone on the reunion committee so someone has volunteered to collect information from classmates. Q: What does a class webmaster do? A: As little or as much as he or she wants to do. The ideal webmaster is someone with enthusiasm and computer skills. Between reunions, the webmaster job is not too demanding. Publish classmate bios which are submitted, etc. See the class of 1973 homepage for an example of a busy homepage. Q: Are past Encina emailings available? A: See the email Updates. Q: Who maintains the class homepages for those classes without a webmaster? A: The Encina webmaster. But these homepages receive minimal maintenance, which consists of publishing bios. Q: Who hosts the Encina website? A: The website is hosted by Ronald Mintle 65's company Yellow Magic in Temecula,CA. The original Dell 1400SC server on which the website runs was donated by Paul Bonderson '70. The second Dell PowerEdge server was paid for by the Encina Booster Club using money raised by the Alumni Challenge. Still stumped, contact the Encina webmaster via link below.